The Yacht Silhouette Wall Art is constructed in steel, with zinc plating, and is powder coated in black for long-lasting durability. 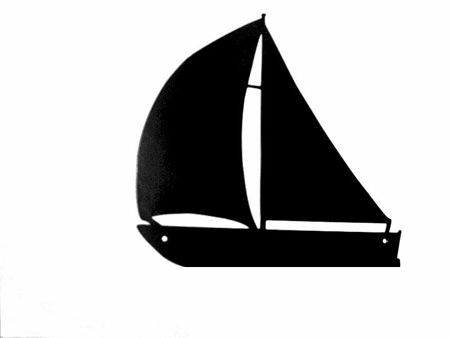 This silhouette of a sailing yacht is a perfect wall decoration for keen yachting or boat enthusiasts and can be used inside or outdoors. It’s easy to fit and comes with fixing holes for screws (not supplied). Ideal to display on a wall or fence to provide a decorative, eye catching touch. Make an ideal gift. Also see our Yacht Weather Vane for an alternative gift for boat lovers.